I ♥ eggplant. I use it to make dips, marinated salads, casseroles and even bahn mi sandwiches. A few weeks ago I had a random eggplant sitting in my refrigerator and a craving for something spicy, saucy and grilled. 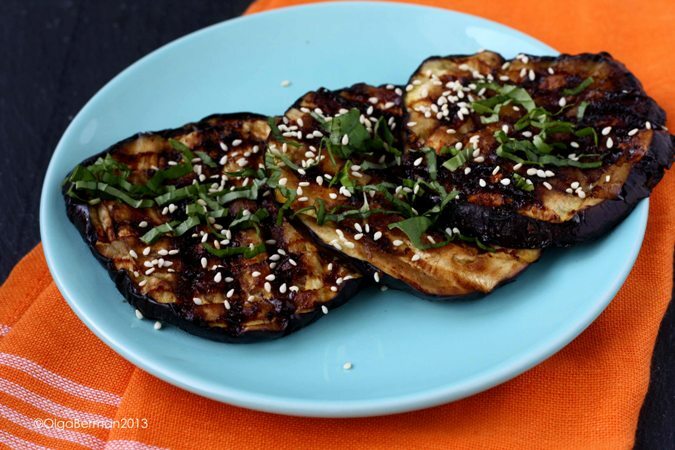 That's how I ended up creating Asian Grilled Eggplant with Black Bean Paste & Ginger recipe. 1 large eggplant, sliced into 1/4"
1. Heat your panini maker or your grill. 2. 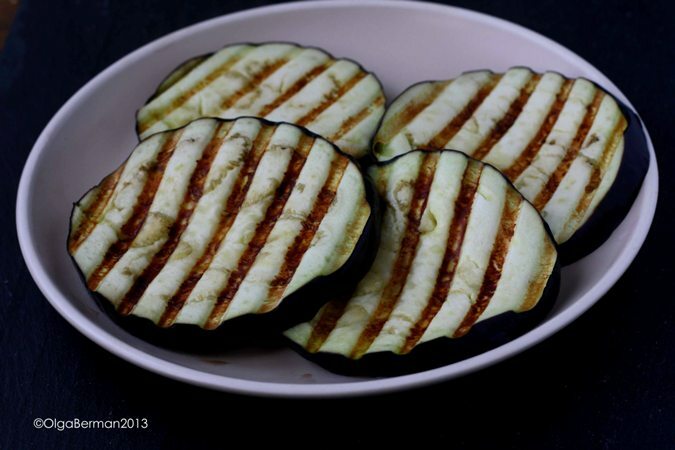 Brush eggplant slices with oil on both sides and cook in the panini maker for 2-3 minutes. 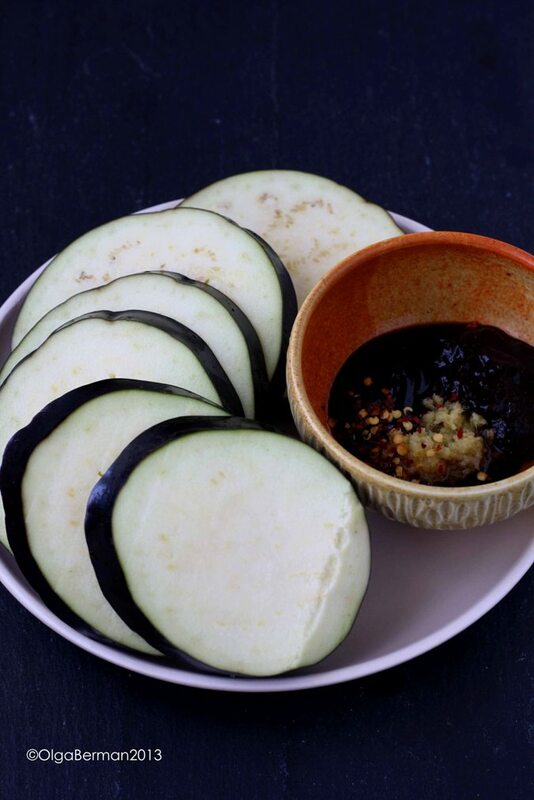 If using a skillet, cook the eggplant 2-3 minutes on each side. 3. Meanwhile, in a small bowl combine all the ingredients for the sauce. 4. Remove the eggplant slices from the panini maker and brush with the sauce on both sides. 5. Cook the sauce'd eggplant slices in the panini maker for 2-3 more minutes. 6. 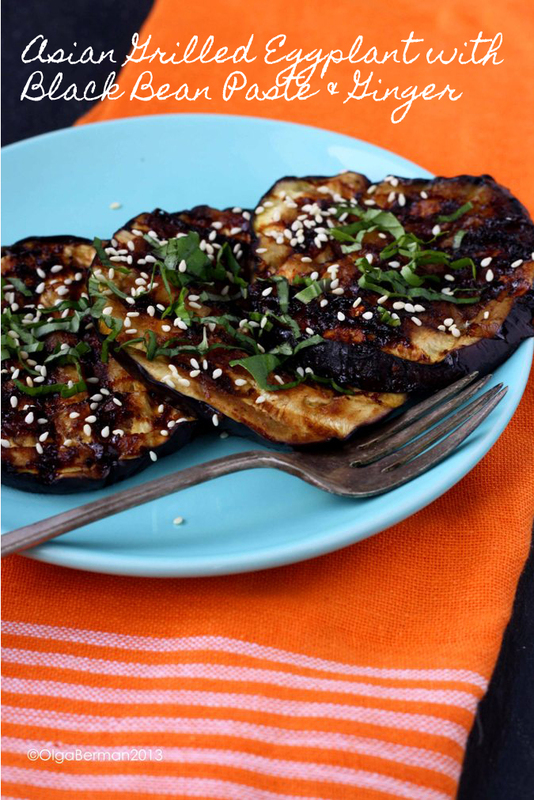 Serve these Asian Grilled Eggplant with Black Bean Paste & Ginger disks topped with freshly chopped basil and sprinkled with toasted sesame seeds. This is a great dish to serve as an appetizer or a main course with rice and grilled chicken. The grilled slices are beauties! And, the black bean sauce sounds fantastic with them. What brand of black bean paste did you use? Recently I bought Black Bean Garlic Sauce in a jar by Master Company (Taiwanese brand) but I didn't really like the taste so I am looking for something else. Glad you were able to leave the comment! I used Kikkoman. This could be my dinner every night. Happy weekend! 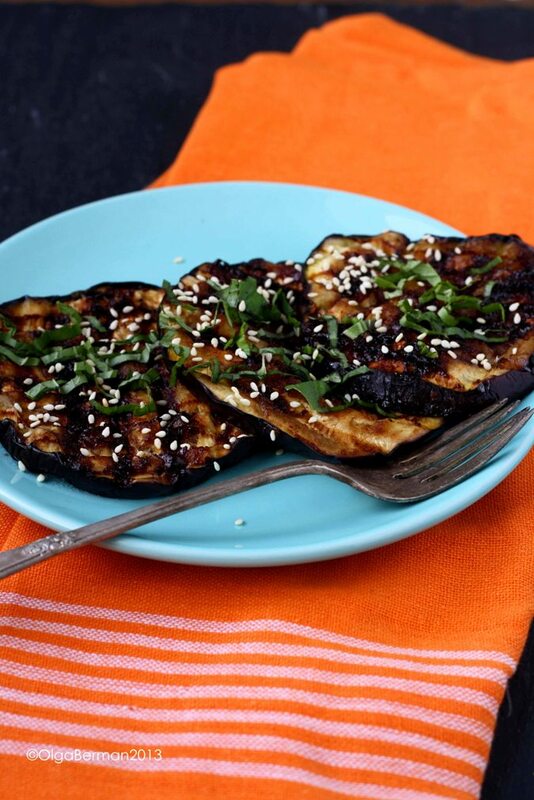 We love eggplant too, and I just love what you did with it here. This would be just perfect with a crusty loaf of bread. Thank you for sharing!